"I have had just about enough of Microsoft. "I've had it with rebooting my notebook and my desktop constantly because my applications crawl to a halt. I've had it with reformatting my drives every few months to get rid of all the stuff that accumulates on them. "I've had it with dysfunctional bloatware, inelegantly designed and inefficiently coded. I've had it with viruses and worms and Trojan horses and spyware and all the other rubbish that Microsoft lets in. I don't care about Vista; I'm moving now. "In a move that will delight many readers of this column, I am taking the plunge and going Apple Macintosh. My son has been using one for a year now, and Apple's OS X operating system is everything Microsoft's is not. I don't care about Vista; I'm moving now. "I'm not alone. I don't know a single soul with a good word to say about Microsoft. It's true, of course, that all large companies get their share of malcontents, but Microsoft just keeps attracting criticism. Flaky products, flakier business practices, greed, hubris. On and on it goes. "I don't care if Bill Gates is the world's biggest philanthropist. The pain he has inflicted on the world in the past 20 years through lousy products easily outweighs any good he has done. "Now that the Apple Mac is using Intel processors, and the prices are reasonable, and the inter-operability is fine, I see no reason not to switch. I can always run Windows if I want, though my intention is to avoid Microsoft whenever possible. Apple is as arrogant as Microsoft but at least its stuff works as advertised." "With all the buzz surrounding Apple Computer these days, many Windows users are starting to think the unthinkable: Should I switch to a Mac? "There are plenty of good reasons to consider a Mac. Most of Apple's current desktop and laptop models are shipping with Intel Core Solo or, more commonly, Core Duo processors, putting to rest the longtime stigma of 'overpriced and underpowered' that critics attached to many Macs. And the release of new products like Boot Camp and Parallels that let you run Windows on a Mac mean that switching is no longer the one-way street it was a few years (or even a few months) ago - which makes the idea of moving to Apple and Mac OS X much easier. "Then there's the matter of style. Some PC manufacturers have tried, but none can match the sleek sophistication of Apple products - and Apple knows it. You can't help but notice a certain glee in the way the company's advertising flaunts its products' superior design. "Once you get past the cute commercials and talking heads, there are some hard facts that you need to know to make an intelligent decision about switching. And, to be honest, there are some things about Macs that will seem a little weird if you do make the switch. We're here to guide the way." "Macs have been instrumental in breathing new life into classic English spy James Bond. "Sony Pictures Home Entertainment has announced the July 17 release of the James Bond Ultimate Edition DVD Collection - and this time the infamous secret service spy isn't just licensed to kill, he's also licensed to Mac. "The collection - which took over two and a half years to put together - includes digitally enhanced versions of all the James Bond movies; sound and images look sharper and sound better than ever before thanks to new 5:1 surround sound. "All twenty James Bond movies are available as part of this collection, from 1962's 'Dr No' to 2002's 'Die Another Day'. "The videos also offer a vast range of meticulously researched archive material, including host of never-before-seen interviews and on-set footage. "For Mac users, the story grows even more interesting, as the images and sound were remastered by DTS Digital Images (once Lowry Digital Images) using a huge installation of 600 Power Mac G5s." "Adding a computer to your home theater no longer means crossing your fingers and hoping for the best. All of the rigs here handle video and audio with aplomb, and even play saved movies while burning DVDs. For the Windows PCs, Intel's Viiv (rhymes with five) standard promises plug-and-play compatibility with other Viiv-labeled products, like MP3 streamers, when they come out later this year. The downside is that configuring these computers - with the exception of the iMac - is a real challenge. Set aside at least half a day to integrate one of these monsters into your entertainment system." "You gotta hand it to Apple: The iMac has just about the easiest setup we've seen. Everything is integrated into a single, beautiful package, with no monitor, speakers, or remote control receivers to plug in, and no software wizards to stand between you and your new Kung Fu box set...."
The Bluetooth Firmware Update improves Bluetooth performance and reliability issues. When the update package is downloaded, the Bluetooth Firmware Updater application will be launched. Follow the on screen directions to update your Bluetooth Firmware. PR: The NewerTech USB 2.0 Universal Drive Adapter implements a bridge between one USB port and one ATA, Serial ATA, or ATAPI based mass storage device port. 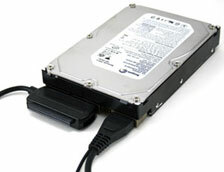 The USB 2.0 to IDE Drive Adapter turns any ATA or SATA drive into a convenient external drive. Easily transfer files from computer or notebook, back up files, or store large file archives on hard drives. 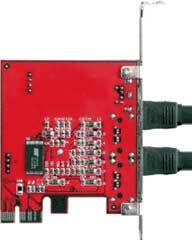 The Hi-Speed USB interface provides for easy installation with its Plug and Play design. OS Support: Windows 2000/ XP and Mac OS X v10.4.x "Tiger"
PR: iWoofer is a fresh and radical iPod speaker system with unique combination of features like downfiring subwoofer and the smallest iPod speaker with radio. iWoofer is designed to make a striking impression for the eye as well as the ear, with unique combination of features like downfiring subwoofer and the smallest ipod speaker with radio. iWoofer distinctive sci-fi yet friendly looks matches your fun loving lifestyle and let you share with all to enjoy. PR: H2O Audio, the leading provider of waterproof housings and headsets for Apple iPod and other mp3 players, announced today that its new H2O Audio housing for iPod (with video), is now shipping. The new housing joins H2O Audio's proven and globally popular line of adventure sport and outdoor recreation iPod player accessory solutions. H2O Audio for iPod's debut received an enthusiastic reception at the Consumer Electronics Show in Las Vegas, NV, generating excitement in both the media and reseller communities. Following last year's successful launch of its SV and DV product lines, and in response to tremendous consumer demand, H2O Audio has developed the new next generation iPod housing and is now shipping the product. The new H2O Audio for iPod features patented engineering and design that provides absolute waterproof protection for 5th generation iPod (with video) owners. 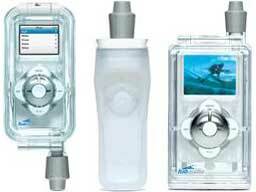 The new H2O Audio housing protects the iPod's video screen from any scratches or abrasions, so the user can always enjoy a clear video image without annoying marks or screen interference. It's an ideal solution regardless of outdoor conditions or recreational activities. "With the introduction of its 5th generation iPod, Apple once again demonstrates why it has such market share dominance. The 30 and 60GB models are slimmer and lighter than any previous model and with storage for up to 15,000 songs, 25,000 photos or 150 hours of video these are the hottest players yet," said Kristian Rauhala, CEO of H2O Audio. "We created our new iPod housing recognizing that many outdoor enthusiasts want to carry all of their tunes and now video wherever they go, regardless of outdoor elements and weather conditions. We are providing durable, affordable protection that makes that possible." PR: Nyko Technologies, a peripherals manufacturer dedicated to enhancing the digital lifestyle, introduces the FM Trans Kit for the Apple iPod nano. Nyko's latest iPod offering is perfect for music fans who groove to their favorite tunes in the car and are looking for a complete package to compliment their iPod nano. The versatile FM Trans Kit combines a high powered, four frequency, FM transmitter, a car charger and three different mounting options. The high-quality FM transmitter broadcasts music through the car stereo; tuning is simple with the product's one-touch operation making it safe to operate while driving. Matching the look and feel of the Nano's design, the kit is powered by the iPod nano's battery or the included car charger. Users also have the ability to simultaneously recharge the iPod and listen to music. The charger conveniently plugs into any car power outlet or lighter. The FM Trans Kit's adhesive backed clip, horizontal/vertical air vent clip and sun visor clip all offer different mounting solutions that will work with any vehicle's interior. "Nyko is committed to bringing high-quality accessories to the iPod market," said Susan Corben Cox, vice president of marketing, Nyko Technologies. "The FM Trans Kit is a compact, easy to use, and flexible solution for motorists who want their iPod nano's music collection along for the ride." 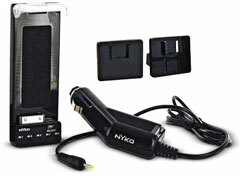 Nyko's FM Trans Kit ($39.99) will be available nationwide this summer. For more information, visit the company website or call 1-888-444-6956.